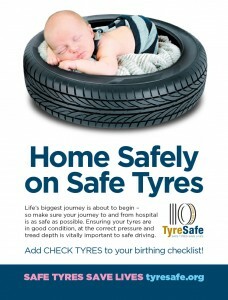 TyreSafe was established in 2006, to raise awareness of the importance of correct tyre maintenance and dangers of defective and illegal tyres in the UK. Killed and seriously injured casualties due to tyre related incidents had reached 1627 in that year. Managing Director of CJAM, Christine Joyce, was instrumental in setting up TyreSafe recruiting members and supporters from a range of organisations including emergency services, road safety partnerships, local councils, retailers and manufacturers. CJAM has managed TyreSafe in the intervening years, championing the cause and developing innovative, high profile campaigns and activities to educate and inform. Since its inception CJAM has energetically steered TyreSafe to help reduce the number of people killed or seriously injured in 2015 to 719 – a decrease of 44% in less than ten years. 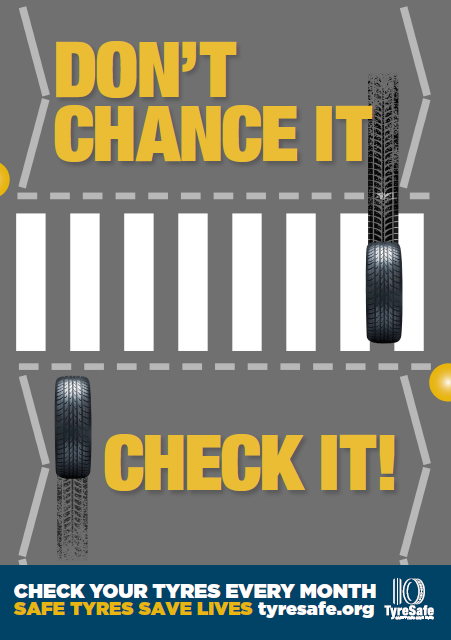 Among the many marketing initiatives devised and facilitated by CJAM are Tyre Safety Month (every October), The TyreSafe Awards, tread depth surveys and infographics, an app, targeted campaigns incorporating videos and animations, and regular comment on all factors affecting a tyre’s roadworthiness. Digitally, CJAM manages the TyreSafe website and extensive social media presence. We have also established influential partnerships with key stakeholders and supporters including Highways England, IAM RoadSmart and Chelsea FC. Thanks to its clear focus and independent position, TyreSafe has been firmly established as the first point of reference for tyre safety issues, using the momentum of a decade of awareness-raising to generate increasingly influential projects and engagement. In 2106 CJAM’s involvement with TyreSafe was key to the organisation achieving charity status, paving the way for the next decade of tyre safety initiatives with its partners and supporters.